First thing I see: Big, weird hats. Lol! 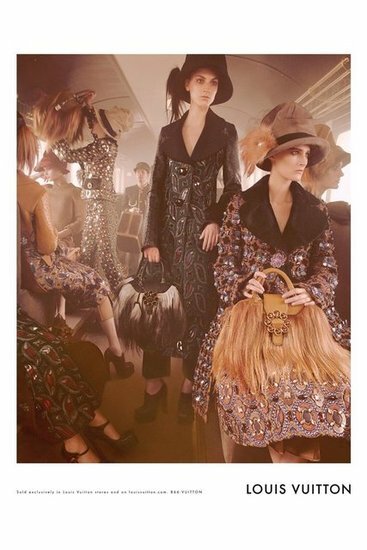 The handbags, the outfits, the luggage, and the poised ladies are all cool though. Just the hats. I want to see who will wear them in real life. "We wanted to continue the journey we started with the fashion show - the glamour of travel and the romance of going somewhere," said Marc. 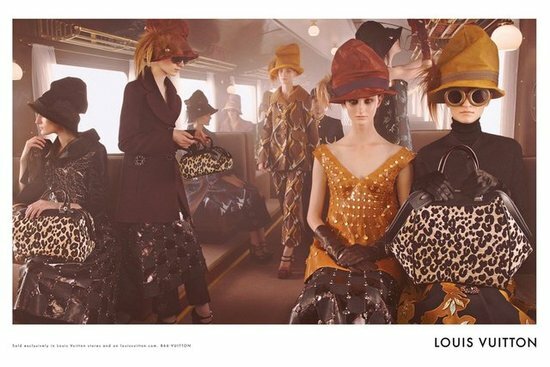 So they use the train they used in the fashion show. Deconstructed it and shipped it to New York to be under the mercy of Steven Meisel, the amazing photographer. What's there to wait? 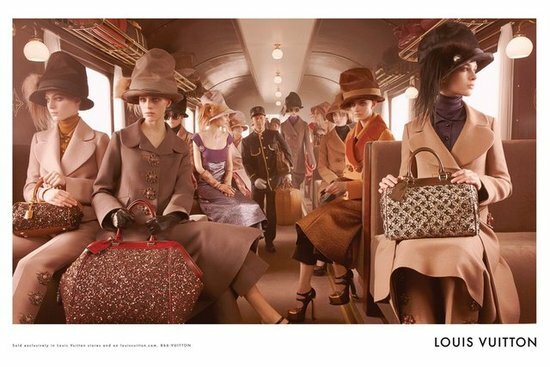 Aboard the Louis Vuitton Express! 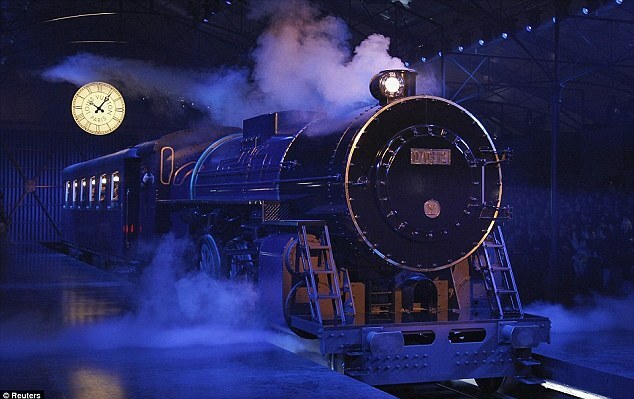 Here's the 8 million dollar locomotive used in the runway. Only for the show (and this ads). How cool is that? See the post of the runway here. Fendi Peek-a-Boo Sold Out This Season?